This has so many elements, I can't remember them all. I think I started with Topaz ReStyle, then rearranged the tree a bit, added a moon, and who knows what else! Was trying to go for a sort of Chinese brush painting effect. I think the bird was a red-eyed Vireo, once upon a time. Cindy, the Chinese brush painting effect is definitely present, and it looks great. I love your positioning of the bird within the frame; this is such a great composition. Also, the subtle texture in the background is lovely. Creative, unique, and artistic! Beautiful work. I agree with everything Ron said about this beautiful creation, Cindy. You dertainly accomplished what you set out to achieve in the style of oriental brush work, and the end result is quite magical and so peaceful. A beauty in every respect! Love it. It does look impressive Cynthia. The one thing to strengthen it would be to put the moon behind the branch rather than in front as it is now. Hey Kim- you're right-I couldn't figure out how to do that, so I thought it looked sort of like the moonlight was showing through the branches. .
Hi Cynthia. If you worked in layers you can have the tree branch and the bird as the top layer, the moon as the middle layer on it own and the background as the bottom layer. 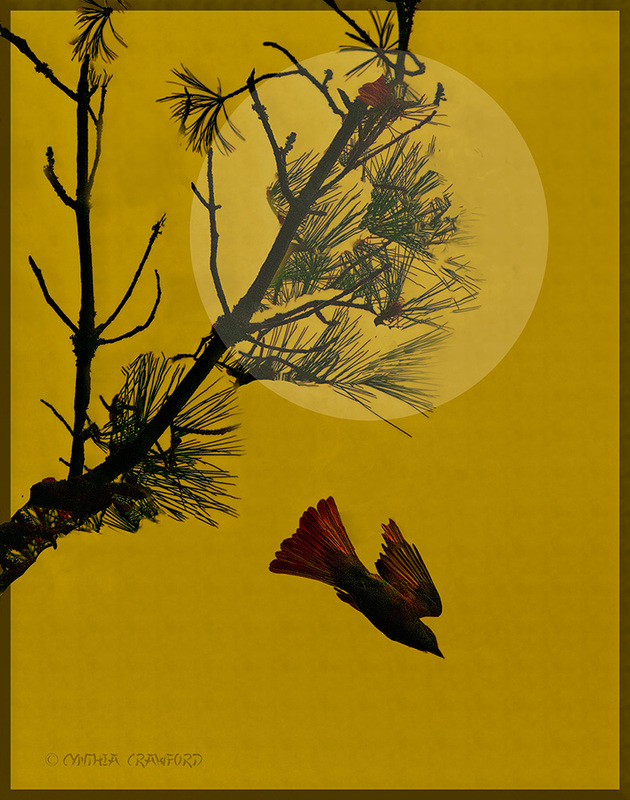 If you only added the moon as a layer above the tree and bird then apply a layer mask and paint out the moon where it crosses the tree branch or use 'the blend if' function to see if you can blend using the sliders to get a result. Thanks Kim-I did work in layers-I'll have another look. I think I tried to put the moon "behind" but for some reason couldn't.